When children, teachers, and parents know what is expected of them, they are better able to meet those expectations. With this in mind, a total curriculum based on Michigan's Core Curriculum, has been developed for Detroit Edison Public School Academy . 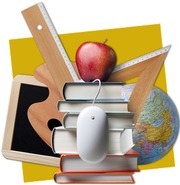 The State Board of Education has developed the Core Curriculum Expectation which contains objectives in language arts, mathematics, social studies, science, technology, visual arts, music, health, forensic, and physical education. The overviews of objectives listed in this handbook were developed in correlation with MDE expectations. Click here to view a complete curriculum description. Curriculum Department for Curriculum, Instruction, Assessment is currently under construction. Please come back later.